The film follows the hilarious misadventures of Moondog (Matthew McConaughey), a rebellious rogue who always lives life by his own rules. 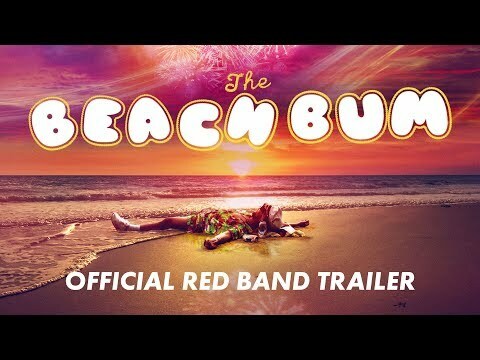 Co-starring Snoop Dog, Zac Efron, and Isla Fisher, ‘The Beach Bum’ is a refreshingly original and subversive new comedy from director Harmony Korine (Kids, Spring Breakers). The Beach Bum was released on Cinema 27d ago in the US. Based on 7 The Beach Bum Cinema reviews, The Beach Bum gets an average Cinema review score of 62. The score for all versions is 62 based on a total of 7 reviews. Harmony Korine’s “The Beach Bum” is kind of like when you go to a restaurant and see a list of ingredients for a dish that then tastes exactly like you expect it to. The Beach Bum is a skillfully crafted and often hilariously entertaining, but like an evening with Moondog, it might leave you with a hangover. Matthew McConaughey stars as a pleasure-seeking poet in Harmony Korine's Florida-set film, also featuring Zac Efron, Jonah Hill, Isla Fisher and Snoop Dogg. 'Spring Breakers' director Harmony Korine is back with another decadent dive into drug-addled excess, this time featuring Matthew McConaughey as a stoner poet named Moondog. Meet Moondog — a movie character you’ll want to punch in the face.